Welcome to the all new 100 Balls Over 5 million players - #1 in 20+ countries! *Powered by Reach Mob - the leading app marketing engine* INTRODUCING - Battle Mode Challenge your friends in awesome multiplayer games! HOW TO PLAY The go...MoreWelcome to the all new 100 Balls Over 5 million players - #1 in 20+ countries! *Powered by Reach Mob - the leading app marketing engine* INTRODUCING - Battle Mode Challenge your friends in awesome multiplayer games! HOW TO PLAY The goal of the game is to get the balls through the cup by tapping on the screen and releasing the balls. 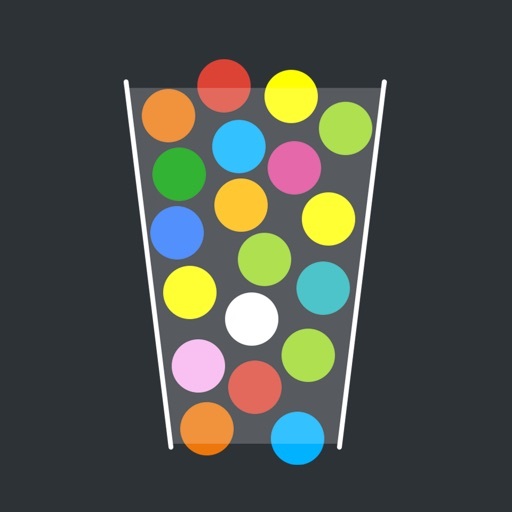 Each ball you get through the cup rewards you with a different number of points, depending on the color of the cup. If the ball misses the cup, it disappears. When you lose all of your balls, the game is over. If you manage to drop 20 balls through the cup without missing a single one, you will be rewarded with a score multiplier. Keep in mind that the multiplier is not limited and can earn you tons of extra points. Losing a ball will reset the multiplier, so be careful. Connect to Game Center and compete with other players. Master the game and be #1 on the leaderboard. Share your score on social media and challenge your friends and family to beat your score. FEATURES: ● Online Leaderboard ● 15 Different Colored Balls ● Awesome Music ● Realistic Physics ● Single Tap Control ● Endless Gameplay ● Multiplayer PvP Happy playing!